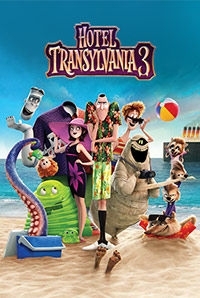 Count Dracula, his family and his motley group of friends forming the Drac Pack are on a vacation this time around - aboard a luxury cruise ship! Its all great fun and smooth sailing for the monster bunch, until Drac gets smitten by Ericka, the mysterious captain of the ship. What he doesnt know is that Ericka is the descendant of his ancient nemesis Van Helsing, and she is on a secret mission to destroy the monsterkind! With the clock ticking away, its Mavis turn to take control of the situation, and save her father and her friends from Erickas devious schemes.